This map was originally made for PopularMMOs and GamingWithJen but is released to public as well. 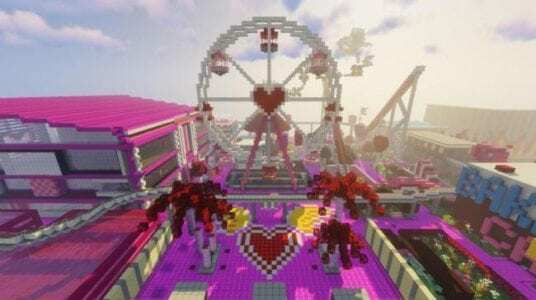 Since the map name is Valentine’s Day Theme Park , I’m sure you can tell that this map is about theme park attractions in Valentine’s theme. 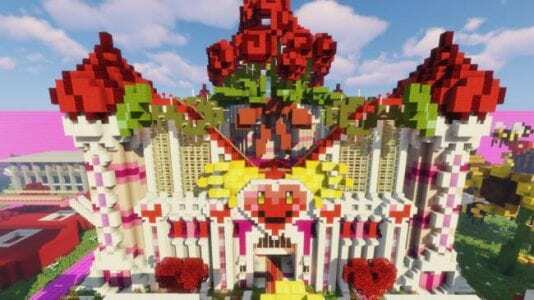 It consist of mini-game and nice buildings put together in a large theme park to make you feel like you’re in a real life theme park playground. Most of the games are made for 2 players but there’s also games for single player. 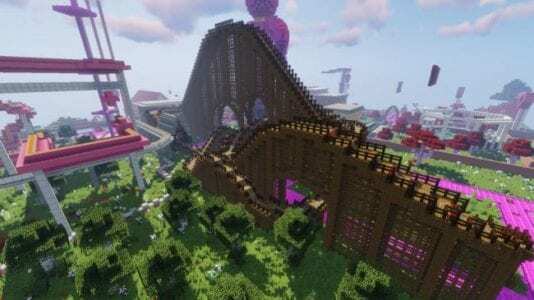 – Important: When you first join the game, make sure to have the gamerule doFireTick false until you enter the burning structures, and I recommend you do Wipeout and the FTB (Find the Button) before the burning structures or else parts of the map might get destroyed due to fire.